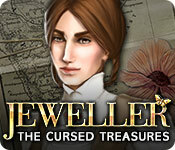 Jeweller: The Cursed Treasures is rated 3.3 out of 5 by 38. Rated 5 out of 5 by MEnr56 from TOGGLE BETWEEN TIMED and RELAXED MODES There are MANY gamers who've made the statement that there is no RELAXED mode but the good news is that THERE IS A RELAXED MODE and the BEST NEWS is that you can remain on the same level AFTER going to your Options menu and clicking on Relaxed mode after failing said level. Also, if you quickly and continuously move unwanted gems to the treasure chest which is to the bottom towards the right-hand side, you can continue to add minutes to your timer and eventually win a level in the TIMED mode. Just be careful, if you can, and not place colored gems that you may need for the necklace piece as there are some levels which will only allow you to place specific colored gems in specific colored areas.. Rated 5 out of 5 by mausmausmaus from Great game I like time based match 3 games - and the storyline and graphics of this one were really very nice. So thumbs up from my side. Rated 5 out of 5 by mitzi43 from Addicting & Exasperating This is an addictive game (and exasperating) because just when you have one or more pieces to go - time runs out. You need to keep your eye on the meter and click on it as much as possible to stay in the game. Love it!! Rated 5 out of 5 by campingkiwi from Incredibly Hard "Time Management" Match-3 I've been obsessed with getting the "Gold" Bar at the end of each level and have been totally pulling out my hair! I need my Gold Bar!!! This game is not for sissies or people who want a game to relax to. At first I didn't like this game, but I restarted it and went through the tutorial again and it made sense and I've been addicted ever since. Although this game is "Timed" it isn't really - it only awards you with bronze, silver or gold bars - that's it and you have the ability to replay any level to get a better score. This game is a TM game with Match-3 sort of like Coffee Rush but without the Coffee - it's a 3-Ring Circus! Okay, I'm off to play #Grrrr!! !# some more!!! Gold Bars!! Gold Bars!! Rated 5 out of 5 by twtscat48 from A Gem of a Game!!! I love match 3 games and I loved this one. This one I must say has been more challenging then most. 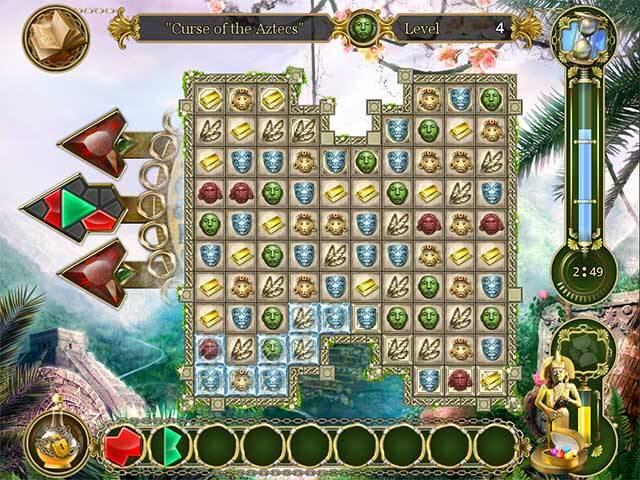 You have to makes matches which then gives you jewels, which you place in the talisman, but it has to be the correct colour. The bigger the matches the more power ups you have to use to complete the level, you get a bomb, or more seconds. I bought the game!! I definitely recommend this game. Rated 5 out of 5 by Girtabik from Great Match-3! This is one of the greatest match-3 games! 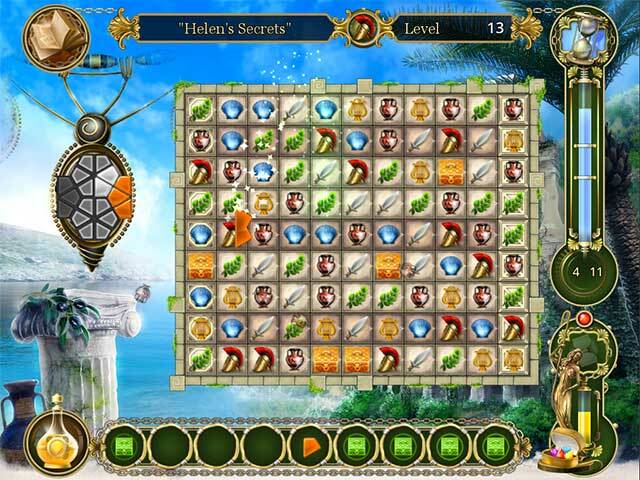 Relaxing, though being challenging, the game consists of several levels located in different countries and cities of the world. The storyline has nothing new, but gameplay is addicting and well balanced. Must have for all match-3 lovers! Rated 5 out of 5 by raydog from A Sneaky match 3! I usually buy all the match 3 games. I enjoy them - however, this one has the OOPS! factor. I am still playing this and running out of time and trying to put those gems into place and find a 4 of a kind to get more gems and get rid of the jewel boxes. A lot going on and it keeps my interest - totally! Love this twist on the usual Match 3. I am a fan. Rated 5 out of 5 by splash1234 from WOW! There's a lot to do so its not boring!! This is a fun game. There is a challenge as there is a lot going on all at once so you are sort of multi-tasking. Trying to get enough of the same tiles to earn the power ups to give yourself more time. Also to get larger matches so you can get the gems to assemble the jewelry. While your playing the match 3 you need to also keep an eye on the gems at the bottom so it doesn't get full. You can dispose of the gems you don't need in the little jewel box at the corner on the bottom. 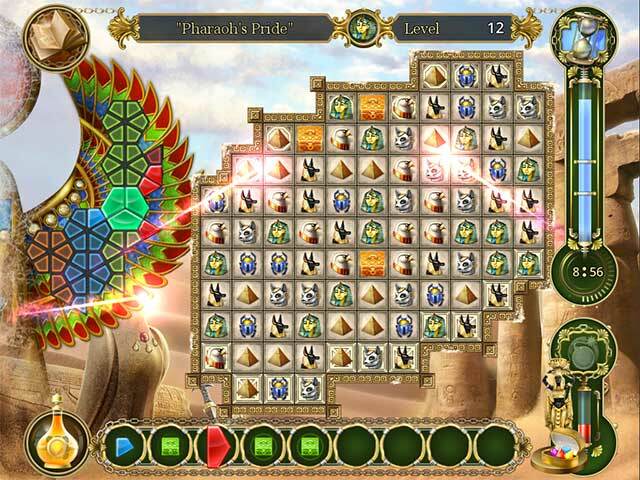 You have the shapes of the jewelry and you need to grab the gems and place them. Eventually it gets harder as you also will have to match the colors and keep playing the match 3 game. Its not boring because there is so much to hurry and do. It is timed, challenging and fun...at least for me. Its really different. If your patient and listen to whats being said there is a nice little story to it. Once I got the hang of it I couldn't quit playing. It got very addictive as I was trying for the three gold stars in each level. I had to play it over a few times til I got it, if you give it a chance it is fun, and as you go along there are additional power ups to help you out. I recommend it to those that want a challenge ( : Have Fun!!! A jeweler is tasked with the restoration of some timeworn jewelry, but when he mysteriously disappears, rumors circulate that the pieces may be cursed.